The Clippers franchise has been around since 1970. While they’ve started out in Buffalo before making their move to the west to San Diego, they’ve been in Los Angeles since 1984 and haven’t left since. Surprisingly though, the Clippers don’t have any numbers retired. Not one! Who could be the first one? They’ve had their fair share of stars in recent years with Chris Paul and Blake Griffin. But when asked who his would pick to have his jersey retired, head coach Doc Rivers had an interesting response: DeAndre Jordan. 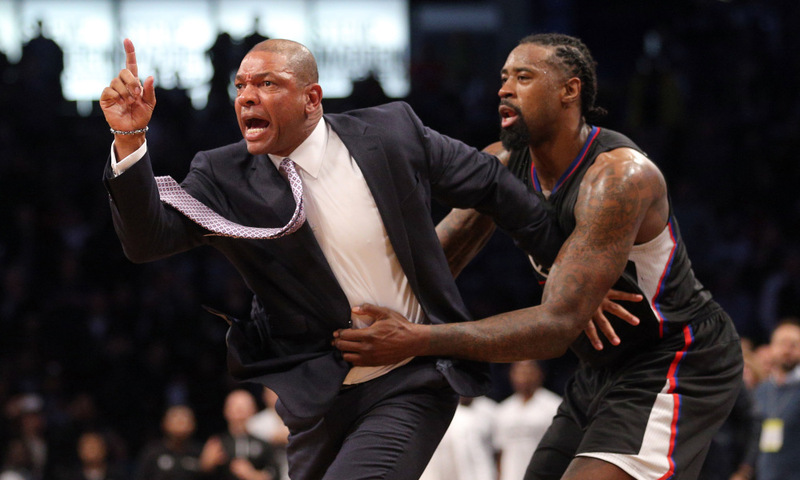 Doc Rivers said he hopes DeAndre Jordan is the first Clipper jersey retired. Im offended on Chris Kaman’s behalf. Didn't they already technically retire Blake's jersey last year as part of the free agency pitch? Previous story Enes Kanter’s Second Career: WWE Superstar?